Each child is evaluated in a low-pressure environment (it is NOT a "tryout") where we assess their skills. Racing along a gym floor, each child weaves their way in and out of a line marked by orange cones, testing their ability to dribble a basketball. Everyone must attend one basketball evaluation or cheerleading event. For those who haven't pre-registered, on-site/same day registration are often available, however we make no garantee since registration/fee payments are on a first received basis (wait list are created for Gender/Grade divisions already at max capacity). We strongly encourage early registration! Each player and cheerleader who registers is measured for the correct uniform size. This assessment helps us build equally matched teams to ensure fair competition for every team. It also helps the coaches ensure that each child is matched up on the court against a player of similar skill level, to ensure fair competition and an enjoyable sports experience for every child. Players should wear athletic clothes and clean court shoes. 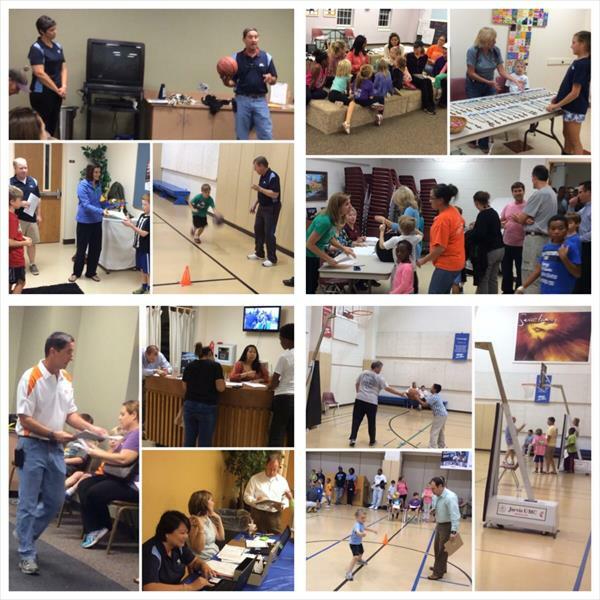 Everyone attends one basketball evaluation. Each child's evaluation itself takes about 10-15 minutes. The overall orientation and evaluation process takes approximately 1 hour. 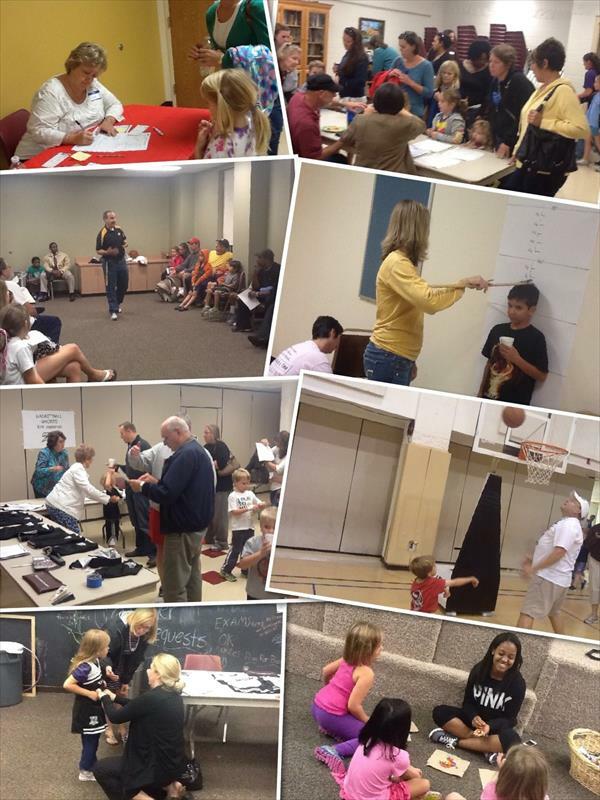 Orientation, Walk-in Registration, uniform sizing, height measurements, and skill evaluation all take place in the Taft Christian Life Center of Jarvis Memorial UMC. The entrance is on the Greene Street side of the church.